Earlier this week Reader’s Digest published an in depth article called, "Bad Air Day", on the latest scientific statistics regarding the dangers of present, indoor air quality. The intention was to inform and bring a growing awareness to the public of this widely overlooked, yet critical occurrence. Overall, the article is comprehensive, educational, and insightful despite one piece of misinformation. Something they didn’t factor into the equation; the solution. It states, ”You can’t choose the air you breathe”, which suggests that we are victims of the status quo; poor indoor air quality; Also suggesting that we should think of the future to make the world a better place, but for time being, we’re up a creek without a paddle; destined to suffer all the symptoms and outcomes of poor indoor air quality. This is simply not true. The Reader’s Digest investigated this problem from one source; the World Health Organization. The leader in setting standards for world health through their empirical and scientific statistics, but Reader’s Digest never illuminated the present possibilities to combat this issue. They should have also investigated what companies are doing today to solve these issues. Leaders of solutions to these problems. The great news is there are already solutions out there. Truth is, we all have a choice. You CAN choose the air you breathe. 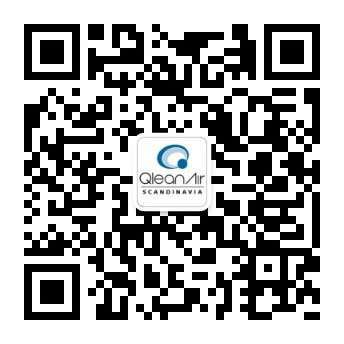 Depending on your specific needs, there are several different types of air filtration systems and solutions out there that can take away 99.999% of all airborne particles, contaminants, and aerosols, and leave us with clean, pure, pollutant free, healthy air. Lots of people and businesses are already using these technologies and more, everyday are joining the solution; not only for their employees and guests, but also to protect their products as well as their processes and equipment. Keeping this in mind, the whole article is definitely worth a read and a ponder.